Hotel Amar Agra, Amar Hotel Agra, Reservation for Hotel Amar, Agra, India. Accessibility: 8 kms.from Airport, 4 kms. from Railway Station, 2 kms. from Bus Stand. 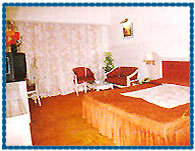 Hotel Amar is ideally situated in the heart of the City, quite close to the Taj Mahal. It is a 3 star, sophisticated and comfortable hotel in Agra, providing first-class services, which is quite suitable for those who are looking for budget accommodation. 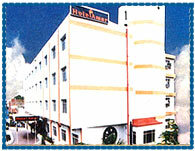 Conference Facilities, Business Centre, Front Desk, Free Newspaper, Parking, Bar, Banquet, Restaurant, Safe Deposit Box, Swimming Pool, Health Club, Barber Shop, Luggage Storage, Courier Service, Doctor on Call, Laundry, Travel Desk Service, Baby Sitting, Currency Exchange, Newsstand, Dry Cleaning, Postal Services, Secretarial Services, Wake up Service.